OpenCart is another one opensource e-commerce shopping cart software that is available for free downloading. More information about the software you can find on OpenCart official site. The templates below are presented to assist you with building of a powerful, visually pleasing online store without big efforts. 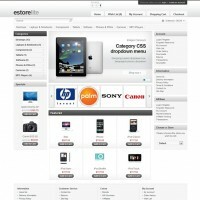 All the templates under this category are compatible with OpenCart v.1.5.3.x - v1.5.2.x and OpenCart v1.5.1.x versions. 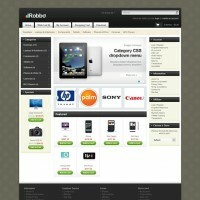 Give your shopping cart a professional look with our Premium OpenCart Templates!